Nearly a century after its founding in Hogg Hall on Lafayette’s campus, the Alpha chapter of Alpha Phi Omega, the now international service fraternity and largest fraternity in the country, will receive its original charter. 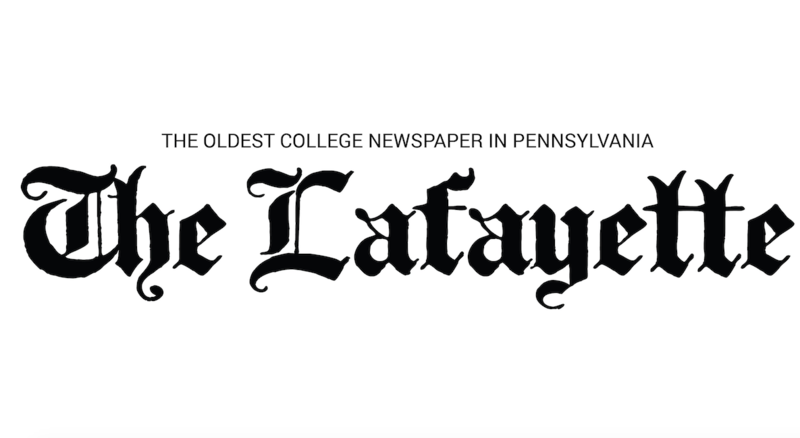 Lafayette will once again be home to the founding chapter of the organization which now boasts over 470,000 members, according to its website. This Saturday, nearly 200 members of APO from around the United States, including the national president of the organization, and current members of the petitioning group at Lafayette will gather in Hogg Hall to celebrate the chapter’s return. This Saturday not only is important for the international organization as a whole, but also marks the culmination of several years of work from student leaders, including current president Ariana Rothman ’18. Rothman arrived on Lafayette’s campus in 2014 with a passion for service. She quickly became involved with the Landis Center, but noticed that students like herself felt that there wasn’t an accessible way for students passionate about service to work together consistently. “I was in POSP and loved it and at that point I knew that these are the people I want to hang out with in college, people who really care about helping other people and have the same values as me and interests,” Rothman said. After participating in many of the service programs Landis has to offer, she couldn’t find exactly the type of opportunity she was looking for. Rothman found what she was missing in the mission and vision of APO. 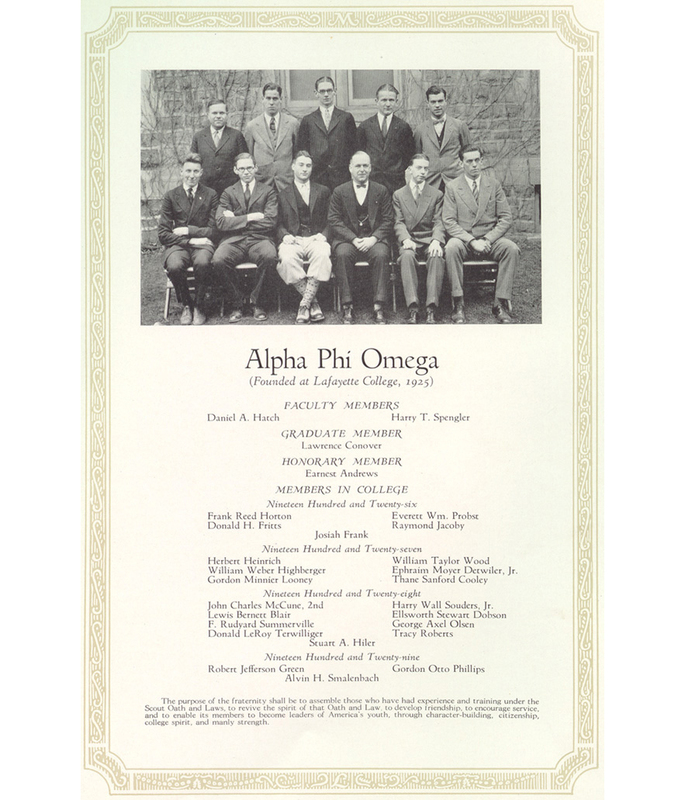 APO originally started at Lafayette in Dec. 16, 1925 by Frank Reed Horton ’26 with fourteen charter members being initiated on the second floor of what is now Hogg Hall. Membership began to dwindle in 1974 to only one active member, and later underwent a brief reactivation in 1988. Following that, the Alpha Chapter remained inactive until recently, when Rothman and other students put forth efforts to bring it back. The process of returning to campus was lengthy, taking approximately three years, Rothman said. In 2014, Rothman and Alex Storozum ’18 began the process of contacting APO Nationals and Lafayette to pursue the charter. They had to prove to APO that Lafayette would support the endeavor. Initially, their efforts encountered slight pushback. “There are so many service opportunities on this campus, why take away from that when you could just strengthen what is already there? What we found with APO is there are so many people on this campus and in Easton who just need hands, and now we have 70 pairs of hands,” Rothman explained. The group also had to create adequate programming according to the three tenets of APO to ensure future success: service, friendship and leadership. Since being recognized at Lafayette as a “petitioning group” in spring of 2016, APO has been heavily involved in multiple events on campus, cosponsoring a few, including Relay for Life, the PASA “Take Back the Night” walk, and the Open Mic Night honoring Joey Towers. Previous tries had been made in the past to bring APO back to Lafayette, but they were unsuccessful. APO is not considered a part of Greek life at Lafayette. As a result, freshman are able to join APO and members can be in both APO and in another Greek organization. Next fall, any and all interested Lafayette students will be welcome to take part in the two-week long recruitment process and unlike other Greek organizations, APO will be able to pledge everyone who successfully demonstrates interest and passion for service. Rothman and Champagne are proud to have helped bring APO back on campus and are excited to see it grow in the coming year. “This organization has grown to an international level and has impacted so many people and communities, and it was all started at Lafayette. Something that has been so impactful was started here on our campus and we get to bring that legacy back to Lafayette,” Champagne wrote. Rothman emphasized that APO has been beneficial to campus service opportunities. “It’s an opportunity to have more people involved in things that are already happening on campus. Instead of taking away from things already happening on campus, it’s making them stronger. I think it’s really exciting,” Rothman said. Congratulations to the newest members of Alpha chapter. Sorry I could not be there in person. Just know you have the support of the fraternity and Section 79 Western NC! Welcome back and congratulations! From ΑφΩ Eta Tau Chapter, Cebu Doctors University, Philippines. Could not make it but would love to come to an open/public event in the future. Congratulations 🙂 Welcome Back! From Gamma Zeta Chapter Universidad De Zamboanga, Philippines. Congratulations ΑφΩ “Alpha Chapter” on your re-chartering. From: Beta Nu Chapter, Ateneo de Zamboanga University, Philippines. Congratulations to the new Alpha Chapter! Great to have the chapter that I was inducted in back! I was an active member and officer of APO 1951-’55. My father’s favorite teacher was Danny Hatch back in ’25. My eldest Granddaughter joined at UNH and has my pin. I am glad to hear that Alpha chapter has been revived. Hope you all enjoy the fellowship and the service. Congratulations for bringing back the Alpha chapter, from APO 35th Alumni Association Western Region KSA we are happy and proud. This is fantastic. I just found out about the rechartering and would have been there had I known. I have long felt that the College would benefit. If there is anything, I can do, please feel free to contact me. John H. Thomas ’70 Life Member of APO and member of Alpha Chapter 1966-1970.